Once The Mix (above) filled the dance floor at the Highway Inn on Oct. 3, followers of the band and new fans were in motion for the rest of the night. 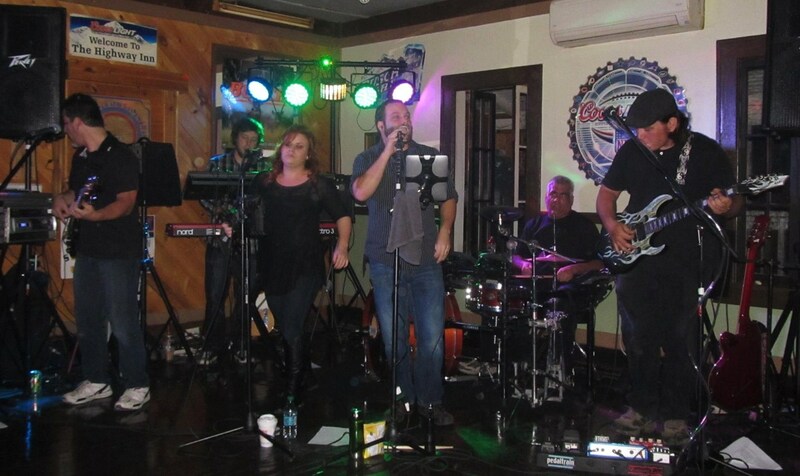 Six-member ensemble The Mix challenged the notion that bands aren’t filling bars in the area lately by packing the Highway Inn in Wyoming County last Friday night. 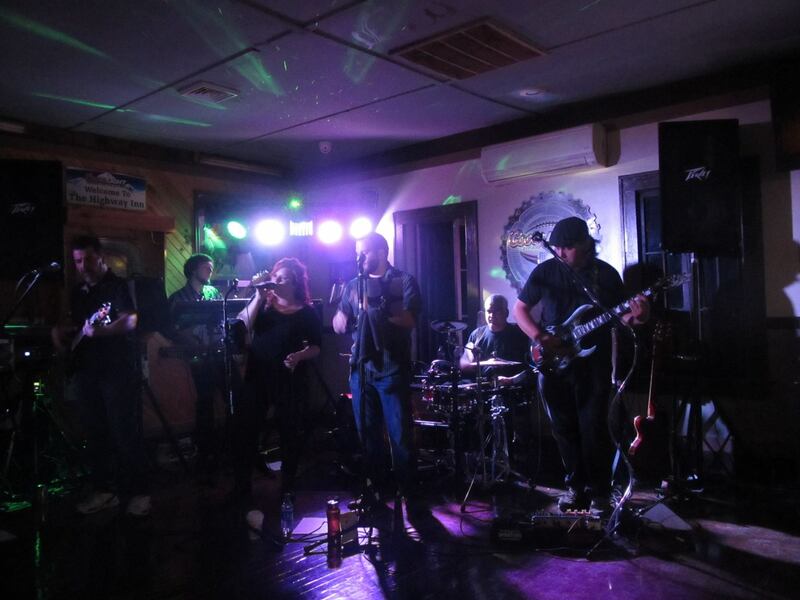 The Scranton-based group certainly won some new fans and gave patrons an opportunity to shake loose the here-comes-colder-weather blues. I’d been hearing a lot about the band, as they slowly found their way into the Endless Mountains. 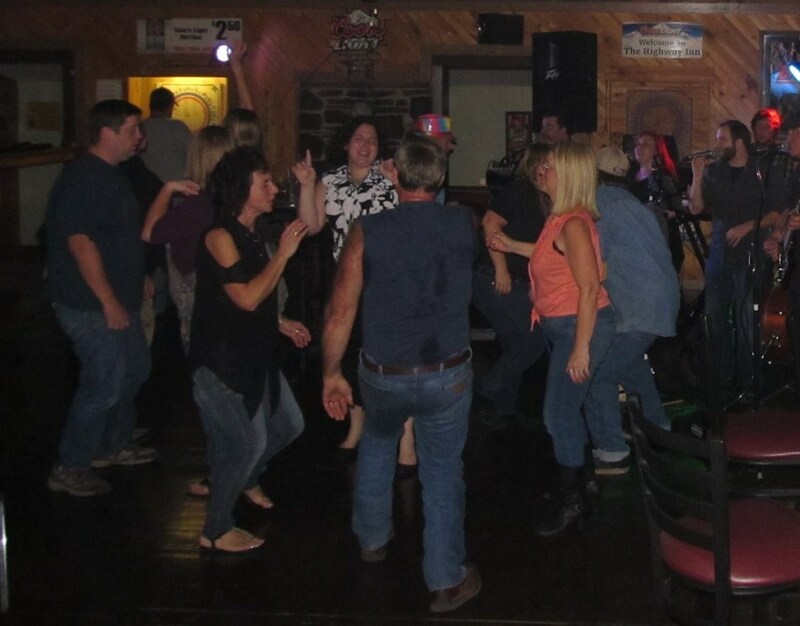 I kept missing them at the (now closed) Creekside Inn but repeatedly heard that they were burning down the house with a nearly non-stop beat and a wide range of music from the 1960s to today. From their kickoff on Oct. 3 with a John Mellencamp standard, it was obvious that the group was comprised of very talented performers. 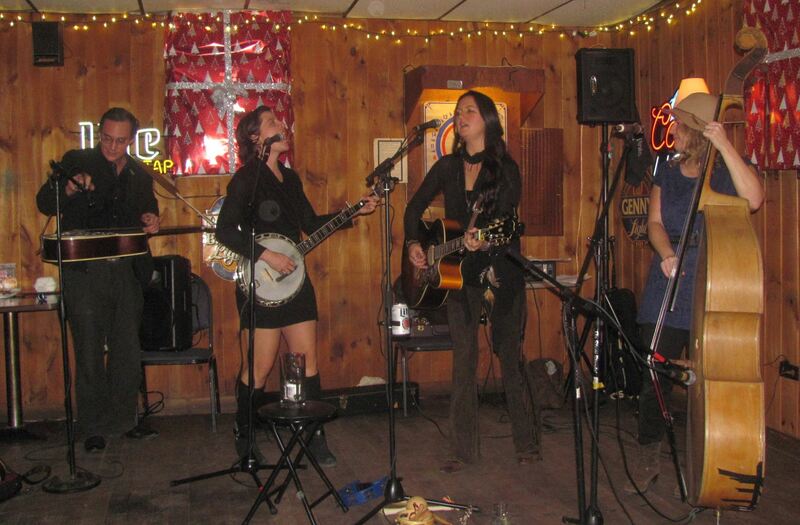 Patrons immediately tuned in to Nina Mattioli’s vocals and agreed that The Mix was likely one of the best bands that had been booked at the Highway Inn in some time. The first set was primarily composed of classic rock hits, which served as an adequate warm-up for the crowd, as it was hard not to at least sing along. Though I also found the abilities of additional band members Mike Simon, Matt Clapper, Nick Sapiego, Dave Gaiardo, and Sal Burcheri to be impressive, I’m so over classic rock that I was anxious for something different as they began their second set. Many bands claim to offer a variety of music, but sometimes style gets in the way of substance. In other words, making every song their own can also mean that every song by a band sounds the same. Pulling off a repertoire that includes faithful covers of both rock and disco/dance music takes both courage and extreme talent. I challenge the band to put a few more authentic country hits in their song folders, especially as they continue to explore the Endless Mountains. No band will ever please everyone in attendance, which I was reminded of the next morning when I bumped into a woman who’d also seen The Mix the night before. As I noted above, I found a number of the classic rock songs to be well-played but boring. On the contrary, that’s what she loved most about The Mix, and she had no appreciation for the more current hits that the band had played. It was only then that I realized that the two of us were rarely on the dance floor at the same time. That’s an important observation in that crowds on band nights often shift throughout the course of the evening. If the band is playing rock, and they are in the mood for country or dance, they’re quickly off to another bar to find what they want. With The Mix at the helm, patrons who arrived early stayed until the music was done, and there was much less hit-and-run traffic. Those who stopped in once the party was rolling apparently realized that they weren’t likely to find a better time elsewhere. Overall, The Mix’s repertoire is somewhat similar to the variety of hits that local all-star ensemble am radio brings to the stage. The biggest difference is that The Mix is able to deliver a similar level of energy with just six members, making them an extremely good deal for owners of smaller venues. 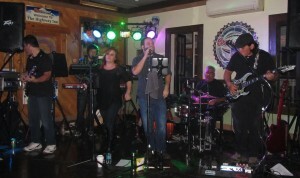 Due to their success this past weekend, The Mix will return to the Highway Inn on Saturday, Nov. 22. We, The Mix, would like to thank you for your honest review. We are constantly striving to ‘fill in the holes’ in our set list and already are working on a few other country songs to add to our set list. In addition, we pride ourselves on changing our set list each time we play, so the people that came to the previous show won’t have to listen to the exact same songs over and over again. We’d also like to thank The Highway Inn for having us! We really enjoyed our first time playing The Highway Inn and look forward to our November 22nd date there!